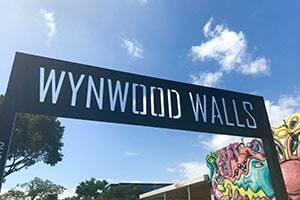 Wynwood is neighborhood in Miami that is often referred to as “Little San Juan” or “El Barrio” due to its heavy Puerto Rican influence. Formerly an industrial district, Wynwood has been transformed by colorful murals and bright buildings to an entertainment district, filled with restaurants, breweries, and shops. It is home to the Wynwood Art District, which is a collection of art galleries, private art collections, and murals. It also has a Fashion District, which houses major clothing retailers and distributors. Wynwood has a population of 43,410. Of those that are working, 62% are considered white collar and 38% are blue collar employees. Personal injury accidents occur due to the negligence or reckless act of another person. Each year, residents of Wynwood are injured in accidents and many times, people are injured through no fault of their own. Injuries can occur due to unsafe conditions in the workplace, spills on floors, walking into and out of elevators, and motor vehicle accidents. If you have been the victim of an accident, contact the Wynwood Personal Injury Lawyers at the Wolfson Law Firm. Injuries that result from accidents often impact a victim’s ability to work and causes them to incur high medical costs. Our Wynwood Personal Injury lawyers can help answer your questions about paying for medical treatment and recovering lost wages. If you or a loved one has suffered injuries or a fatality as the result of a Personal Injury accident and would like to speak to our Wynwood Personal Injury lawyers, contact the Wolfson Law Firm at (305) 285-1115 for a free consultation. Why Contact a Personal Injury Accident Attorney in Wynwood? Wondering if you have a case? Do you want to speak with a personal injury attorney in a free consultation? Then call the Wolfson Law Firm at (305) 285-1115 for a free consultation. The most common injuries resulting from accidents includes broken bones, head injuries, cuts, and scrapes, back and neck pain, torn or strained muscles, and burns. Those injured in an accident should seek medical treatment quickly to prevent further damage. Injuries that appear relatively minor can cause great damage and pain if left untreated. You should never take a chance with your health – see a professional and take the safer course. If you’ve been injured in an accident that was not your fault, contact the Wynwood Personal Injury accident lawyers at the Wolfson Law Firm. Seeking representation will help Personal Injury accident victims to receive the compensation needed to recover from the accident and restore their lives. If you or your loved one has been the victim of a Personal Injury accident, contact the Wynwood Personal Injury accident lawyers at the Wolfson Law Firm at (305) 285-1115 for help. The Wynwood Personal Injury attorneys at the Wolfson Law Firm can help you and your family to get on the path of recovery. We can answer your questions. We can help.